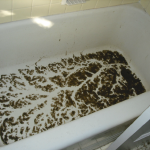 Many home owners and commercial buildings have roots problems inside their sewer lines. We are the Woodland Hills Plumbers and we are qualified to solve your roots problems.Our first line of defense is The Snake, with a root cutter head it can take care of small roots and hair. 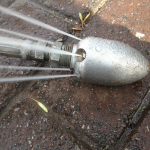 The Hydro Jetter uses a pressurized jet of water to blast off anything that is blocking your pipes. Excavation are very invasive and costly with the traditional methods. However, The Rooter Drain Expert has the latest tools to better serve you. We have in our tool box Trench-less Pipe Replacement Technology which minimizes excavation by up to 95% saving your driveway and saving you money. We are your local plumbers, we have been the Woodland Hills Plumbers for many years now, we see you as members of our community, as our neighbors. That’s what you get with us, big corporation will not offer you the personalized service and customer service we will provide you with.We want you to be one more of our happy customers. 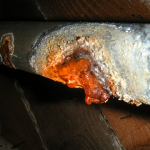 You might also find convenient to read; Why is it important to hire a licensed plumber.